Mississauga First Aid is the premier training service provider for certification programs by St Mark James in the Mississauga area. All classes are overseen by St Mark James and held in high-end training facilities so trainees are assured of the best training experience possible. Students have the choice of enrolling in combined first aid and CPR courses, stand-alone CPR and AED classes, food safety courses, on-line safety training (WHMIS, H2S awareness, fire safety, TDG) private courses, and refresher / re-certification programs – all at the lowest rates. 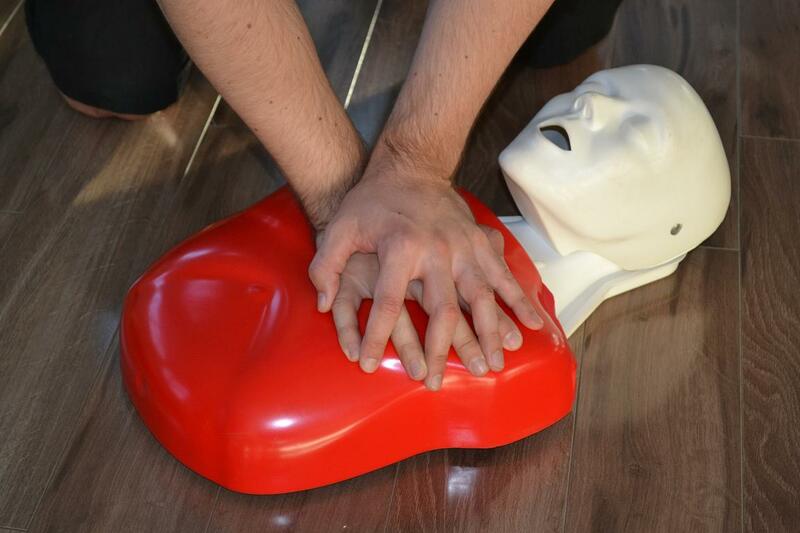 To register for a St Mark James first aid and CPR certification course in Mississauga, Ontario use the contact information provided below or begin your on-line registration by using the form on this page. But why enrol in a first aid training course? Watch the video below to find out. Friendly customer service representatives are available to help answer your questions and help with registration from 8 am to 7 pm Monday through to Sunday. Re-certifications are available for standard and childcare first aid. These awards also meet WSIB requirements. Private infant CPR courses are available for customers wanting a trained instructor to come to them. Private classes are also available for WSIB approved courses. A large number of classes are offered at varying dates and times for your convenience. Gastroesophageal Reflux Disease (GERD) happens when bile or stomach acid flows back through the stomach sphincter and into the esophagus. GERD can cause many serious complications if the signs and symptoms are ignored. Esophageal narrowing (esophageal stricture) can occur because of damage to the esophageal cells. The scar tissue can cause the esophagus to narrow and cause problems with swallowing. Ulcers can also form near the sphincter, since the tissue gets constantly irritated by the stomach acid. The tissue can erode, leaving an ulcer than can cause pain and trouble swallowing. The most dangerous complication is the precancerous changes to the esophageal cells called Barrett’s esophagus. The damage causes changes in cell structure which can predispose a person to cancer. If you start to experience recurrent or persistent heartburn symptoms, be sure to seek medical help.